"Myra did a great job working with me and the sale of my rental property. She was very helpful and straightforward throughout the entire process. She was able to answer all of my questions and made me feel very comfortable about the sale. I would highly recommend Myra to represent a potential seller or buyer"
"It's hard to adequately describe how satisfied my wife and I are with Myra Hall. As a young family with a newborn at the time, we were anxious to get into our first home. Myra was very quick to respond from the very moment we contacted her. Throughout the entire process, she was nearly immediate in response--often dropping everything else to ensure that our needs were met. During the process there were many unforeseen issues that could have derailed our attempt at getting our dream home; however, Myra fought harder than any agent we've had to enable us to cross those hurdles. Myra listens to what you actually want in a home, and doesn't dash your dreams. She doesn't try to change your mind, but does her best to deliver what you want. She also knows foreclosures very well, as we bought a home that had been foreclosed upon. She also knows old homes very well, as well as new. Need help with manufactured home information? Myra's got experience (as the house we ended up buying was manufactured). She also knows country homes if you are interested in that. Myra has trusted contacts for contractors, title, and more. More than all of that, she is courteous, kind, smart, and very good at communication. She was a breath of fresh air for my wife and me. I wholeheartedly recommend her services and can't imagine any better real estate agent." "Myra Hall helped us buy our first home. She showed us many homes and was excellent in her communication and helpfulness as well as being highly knowledgeable. If there was anything she did not know, she would find out and get back with us in a very timely manner! She was honest and straightforward, and worked very hard, even going above and beyond to be sure and find us what we wanted at the best price possible! I would highly recommend her!" "Very knowledgeable, and helpful through the entire process. An excellent negotiator a great person to have on your side. Quickly responds to phone calls, emails,etc." "Myra went way above and beyond the call of duty in helping my fiancée and me buy our first home. First, she found us the perfect house for our budget and lifestyle...we would have never been able to get the deal we did without Myra's help...then she committed to help us work our way through the wide variety of obstacles that come with the complicated process of buying a house one by one. And, as new homebuyers, we had a million question, all of which Myra answered efficiently and effectively. She even went out of her own realm to get us answers we had about the loan process and contracts and to provide calming counsel when we were stressed and feeling a little lost along the way. I highly recommend Myra, and feel absolutely blessed to have had her on our side. Thanks so much, Myra!!" "I couldn't have asked for a better realtor. Val stood by us and made us feel very comfortable throughout entire process. She kept us informed and always got right back with us. I would highly recommend Val to anyone looking to buy a home." "Ours was a for sale by owner and Myra represented the buyer. Myra stepped in and worked with the various parties in this transaction, sometimes contacting each nearly daily to see what needed to be done and then following up to insure that what needed to be done got done. I was very impressed with her initiative, who she knew to get things done and how she effectively communicated with all parties involved to keep the sales moving toward the closing. I would highly recommend and use her in the next real estate transation"
It was the best thing I did having her represent me as my agent. "I had a lot of questions, concerns, and overall wanted to understand every detail of the process. Myra not only met all my expectations on knowledge and responsiveness but exceeded everyone. No matter time of day or night if I had a question she responded quickly and with an answer. It was the best thing I did having her represent me as my agent"
"Myra operates as one would expect from a seasoned professional. She was mindful of every detail and made the whole process a breeze. Our house was on the market for less than a week. The house was listed on a Monday and we accepted an offer on Friday. Our home was located in a difficult market. Some homes in our area were listed for months. Additionally, Myra was extremely helpful with expectations of sell price. The offer we accepted was nearly to the dollar of what she said we would get"
"Myra was outstanding with extremely fast follow-up and worked hard to make our home buying experience the best. Even though we ran into some snags with the purchase process, Myra made sure everything went as well as it possibly could. She made great recommendations for service providers and stayed fully engaged even after the close of the property. 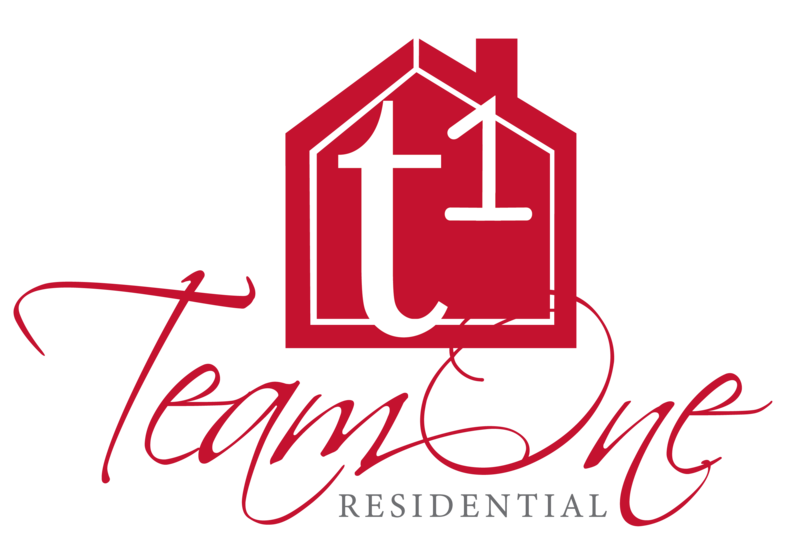 I would recommend her above anyone else when looking to purchase a home in this area"
Responsive, knowledgeable, and respectful of your desires and concerns. "Myra was amazing to work with, and we were delighted we had another couple we were able to refer to her soon after we purchased. If you are looking for an agent in the Anderson area be sure to contact Myra. She is responsive, knowledgeable, and respectful of your desires and concerns. We were first time homebuyers when we worked with Myra, and she made the process (which I know is a challenge) seem like a breeze!" "I have been using Myra for two years now and have purchased multiple properties with her help and guidance. She has been an instrumental part of my real estate growth. Myra is a great agent to partner with if you desire for best in class service and success in this region. Myra is second to none." She is an honest and genuine lady with the smarts to get it done! "Myra was very concerned with what was best for our family. She provided great common sense counsel on selling our home. She worked patiently with us in finding a new place. She excels at understanding the specific needs of a family. I would highly recommend her to anyone interested in buying and/or selling a home. She is an honest and genuine lady with the smarts to get it done"
"Valerie took us to four homes. She was always prompt with her response and wasn't pushy. We bought our home with her and she made the process smooth and found a great inspector and contractor for us to work with." She remained persistent until a successful closing took place. "Myra was instrumental in negotiating favorable lease conditions on a property for my small business. She could have easily put my project on the back burner but remained responsive and continually offered advise throughout the process based on her local expertise. Most importantly, Myra initiated these negotiations knowing that it would be a difficult close, and remained persistent until a successful closing took place." "We had a great home buying experience. Valerie is professional and very knowledgeable. She found several homes she thought would meet our needs and she was so helpful with the buying process when we found the right one. She went above and beyond on several occasions and we are so thankful. We love our new home"
"Myra was very helpful in preparing my house for listing and hints to make the house marketable. Throughout the process I could count on her to walk me through the required steps. I sold my house within two weeks of listing much to her credit." Took the time to understand my needs and she delivered. "Myra took the time to understand my needs and she delivered. The buying process was easy and quick. Myra kept in constant contact with me and my family throughout the entire process. I would recommend Myra to anyone buying or selling a home." "I have purchased 2 homes now with Myra. Both times, she took time to understand my family's needs and ensure she presents homes that align with our needs. She is a wonderful realtor, and I will purchase another home from her in the future!" "My company is located in California and I called over 6 different brokers in the Alexandria, Indiana area. Myra was the most responsive and the most professional. So I decided to sign a listing agreement with her. It did not take her longer than a week to get us into contract for a price that was acceptable and fair to all parties involved. If and when I have future real estate needs in Indiana Myra will be my first call. I HIGHLY recommend anybody to utilize her services"